As many of you know, I have a passion for collecting stamps from Dead Countries, so I am creating this thread to discuss everything from the history, geography, culture and of course the stamps of "countries" which no longer exist. I sincerely hope that this will be an ONGOING discussion, not just a bunch of posts by me. I expect to learn just as much from each of you, as you might from me. You never know, I might just create some "converts" to a very fascinating realm in stamp collecting. But before we start, I thought we would do a quiz. Try and answer them all before you look at the answers. 0-2: Fantastic, this thread is for you. I thought I knew 3, but turned out to only know 1. He he. Antioquia threw me off. I was thinking Antioch, but for philatelic purposes, that was of course Hatay and Alexandretta. 1) Portuguese colonies that sourced their stamps from London instead of Lisbon: Nyassa, Moz. co.
2) Versailles complications: Danzig, various Silesias, Schleswig, Saar. 3) The Hapsburg empire and its spinoffs, especially Bosnia the first go-round. 4) Ingredients for later European states, especially those former kingdoms that explain why now-provincial towns such as Dresden have such great art museums: Bavaria, Saxony, Naples. 5) Colonies that produced exotic stamps to recruit collectors as future officials in total hellholes: Obock, Somaliland, AEF, AOF. I'm at the bottom of the poll only getting two correct (Danzig and Memel). What a clever thread. I got two. 1. Regarding Nyassa and Mozambique Company, while they did operate within a Portuguese colony, the companies themselves were primarily owned by British and French interests, so printing stamps in London is not so far fetched. 2. I agree, the Treaty of Versailles changed the world. Although you mention the plebiscite regions, it also had a huge affect in Africa and China, as Germany had to give up its various colonies and consessions. With the quiz out of the way, lets start with the basics. What is a "dead country"? I believe to properly define this, we need to answer three things. 1. What is a country? With this post, lets start with the first. any governmental, political, colonial, military or revolutionary entity which had control (or attempted to have control) over a region of land and it's people. This definition could include a wide variety of "country" types including empires, kingdoms, republics, colonies, city states, revolutions, military occupations and so forth. Often I see the definition include the qualification "that issued postage stamps" in the definition. Of course, if you are a stamp collector, you can only collect the stamps if they were issued, but whether or not the country issued stamps should not determine whether it is country. 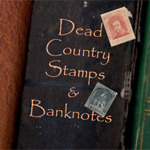 Many dead countries, according to the definition above never issued stamps. I have probably overcomplicated things, but I guess all "specialists" do it - kind makes us feel important. Would love to hear what others think about my "rough" definition. And of course, if you have any examples or questions, would love to hear them. IMO, unless you include the "issuing of stamps" then your definition of a 'country' is pointless as there would be literally thousands of "Dead Countries"... starting from 6000 BC to now. Since this forum is primarily concerned with stamp/postal stationery collecting I fail to see the relevance of naming 'countries' which have not issued stamps/postal stationery. Also, I feel that the term "country" is irrelevant; what should be of interest is "Postage Issuing entities" - for example: Australia did not issue stamps for the Commonwealth until 1913, but many of its States did from as early as 1851. Since they were colonies they are not generally regarded as separate 'countries' and this would apply to most of the British empire. I think "country" is a vague enough term to be flexible, and has the advantage of being familiar. Colonies were places with distinct identities and administrations. For your first point, if your sole reason is collecting stamps, you are correct. But for me, I also collect banknotes, (others might also collect postmarks, or postal history), so I have tried to more "generic" in the definition. Also, to me, understanding the history and the "politics" of the region is as important as the stamps themselves, thus the way I sometimes divide the different "countries". It is good to understand people’s terms and perspective (which sometimes differ) so it avoid confusion. 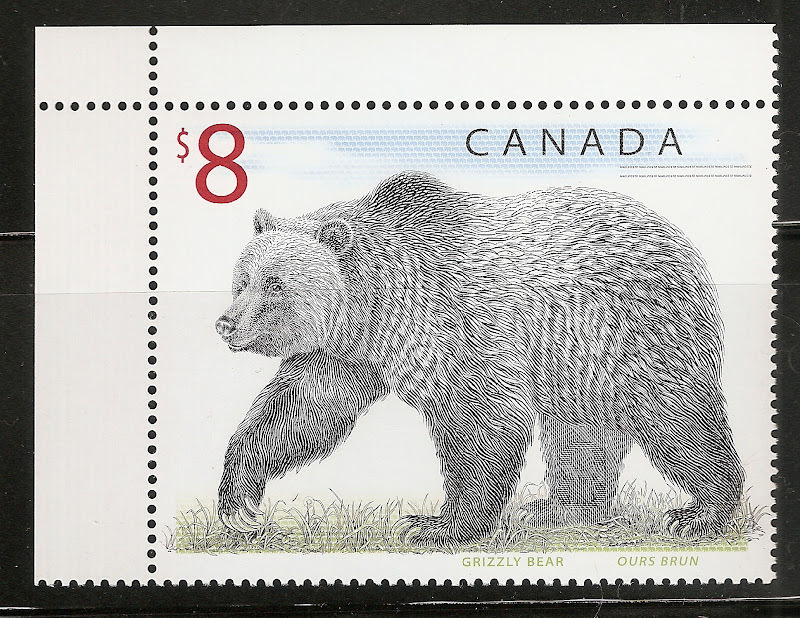 While for this forum, I assume that the primary focus in on stamps (although postal history and postmarks count), but throwing in some history to see how the stamps help tell that history, isn’t a bad thing. Also, I absolutely agree that the term “country” is irrelevant. I use it because every article I read on dead countries, uses that term. I purposely didn’t use the term “stamp issuing entity”, because I was trying to be broader. I wanted to define what I mean by the term, so that the readers understand my perspective. I also appreciate other perspectives a well. Regardless, I think when we use the term "dead countries" both of us would include the Australian States on that list. OK, the next 2 questions (they are related to one another). I guess the simplest answer for the first one is: When the previous country ends! Let’s take Hawaii. Everyone loves Hawaii, but not everyone knows the history. When I understand the history of Hawaii, I actually see 3 countries. I'll show you why (and even show some stamps along the way). The Kingdom of Hawai’i was united under a single ruler, Kamehameha I, in 1810 with the help of foreign powers. Over the decades, Hawai’i had a tumultuous relationship with many of the world’s powers as it was threatened and invaded by both France and Britain. However, on November 28, 1843, at the Court of London, the British and French Governments formally recognized Hawaiian independence. The US recognized the Kingdom of Hawai'i in 1849. On 17 January, 1893, the last monarch of the Kingdom of Hawaii, Queen Lili’uokalani, was disposed in a coup d’état lead largely by American residents who were opposed to Lili’uokalini’s attempt to establish a new Constitution. The success of the coup was supported by the landing of US Marines, who came ashore at the request of the conspirators. The queen was imprisoned at Iolani Palace, under house arrest. On July 17, 1893, Sanford B. Dole ( and his committee took control of the government and declared itself the Provisional Government of Hawaii. The Kingdom of Hawai'i began in 1810 and ended on 17 Jan, 1893. When Sanford B. Dole and his committee took control of the government and declared itself the Provisional Government of Hawaii, they had an expectation that United States Government would quickly annex Hawaii, as demonstrated by the U.S. sending in the Marines. In fact, at the time of the overthrow of the kingdom in January of 1893, the annexation of the islands was supported by the then President of the United States, Benjamin Harrison. However, Harrison had lost the election in 1892, and was to be replaced by Grover Cleveland, who did not support annexation, and called for the return of the Monarchy in Hawaii. Fearing such a move, the Provisional Government formed a Constitutional Convention on 30 May, 1894. The Constitutional Convention drafted a constitution for a Republic, and the Republic of Hawaii was proclaimed on 4 July 1894, with Sanford B. Dole as its President. The Provisional Government of Hawaii began in January of 1893, and ended on 4 July, 1894. Here are a couple of stamps issued during the time of the Provisional Government of Hawaii. The Republic of Hawaii was officially inaugurated on 4 July, 1894, when Sanford B. Dole was sworn in as its first President. In March 1897, William McKinley succeeded Grover Cleveland as president of the United States, and he supported a different policy from the U.S. and agreed to a treaty of annexation but it failed in the Senate because petitions from the islands indicated a lack of popular support and would be in violation of international law. These attempts to annex Hawaii caused such a stir in the Pacific that Japan even dispatched warships to prevent the annexation. For the U.S., Hawaii was considered too valuable of a territory in the Pacific to remain independent, especially with the growth of the Empire of Japan. In fact, Theodore Roosevelt, then assistant secretary of the Navy, authorized the use of force against a potential Japanese invasion, and put together war plans against Japan. The potential for conflict in 1897 caused Congress to enact the Newlands Resolution, which opponents consider illegal, to finalize the annexation of the islands which was approved on 4 July, 1898 and signed on 7 July by President McKinley. On 12 Aug 1898, a ceremony was held on the steps of Iolani Palace to signify the official transfer of Hawaiian sovereignty to the United States. A Territory government was formed, with Sanford Dole as the appointed Governor. The Republic of Hawaii began on 4 July, 1894 and ended on 12 Aug, 1898. Here are a couple of stamps issued by the Republic of Hawaii. The colony, the occupation zone, independent nation, and major name changes make it a separate country for my purposes. So, I need North Borneo, its Japanese occupation, and Sabah. I need French Benin, French Dahomey, Rep. of Dahomey, and then Benin. Ubangi-Shari, Central African Republic, and the Central African Empire are also different countries. II. Changes that matter if I am particularly interested in a country. Monarchy to Republic to Peoples Democratic Republic. For me, the Hawaiian changes are in this league. III. Changes that affect how I sort stamps I have, but only really matter if I start to specialize in a place. Changes in Monarchs. Minor changes in status as in Iceland's gradual disengagement from Denmark. Minor changes in adjectives: Peoples Republic of Benin to Republic of Benin. Nice that you have thought it out so well. I haven't taken the time to understand French Africa very well yet, so I am interested in your understanding.